I am trying to gauge interest for a reduced price transponder receiver scheme. 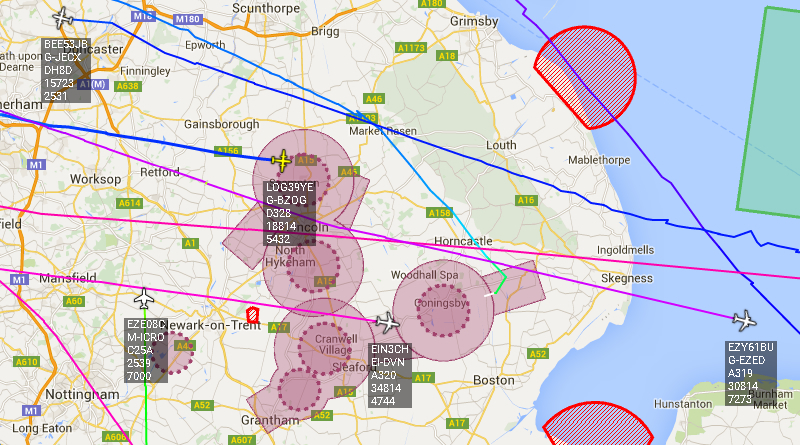 We need to improve our aircraft tracking capability across Lincolnshire but particularly in the vicinity of Humberside Airport, RAF Waddington, Scampton & Coningsby. We usually charge £15 for our receivers but I would like to see how many people would like to purchase one within this scheme at a reduced price depending on where the receiver will be located. 99% of Military Aircraft can only be tracked when it is in Range of 4 or more receivers. Use the contact form at the bottom of this page to register your interest, scroll past the location pictures. Please only register your interest if you believe in good faith that you will place an order as I will be ordering them based on the quantity of people interested. More information about 360Radar and our endorsement of their service.